This project would not have been possible without the support of the community, FACT, and Camp ELSO. Construction for the park renovation will begin in Spring 2019. 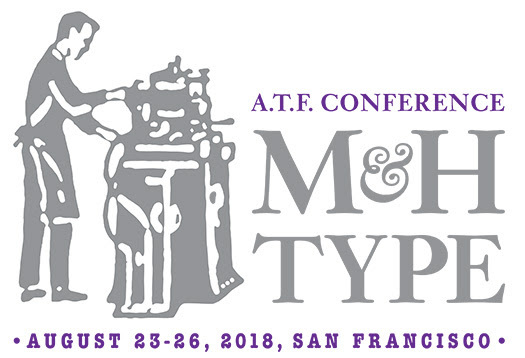 Join us on Saturday for a special open house at the museum in tandem with TypeCon, the annual Society of Typographic Aficionados (SOTA) conference. See the casters in action, as well as hand casting demonstrations. Volunteers will be on hand to give tours and talk about the art and industry of making metal type. Souvenir metal type, printed ephemera, DVDs and other printing related items will be available for sale. We will also be debuting an exhibit of Jim Rimmer’s limited edition book The Adventures of Tom Sawyer, set in Hannibal Old Style, a typeface designed and cast by Rimmer. Additional materials and type from Jim Rimmer’s Pie Tree Press will be on display. *Please note that the 3rd Saturday open hours on August 18th are cancelled. 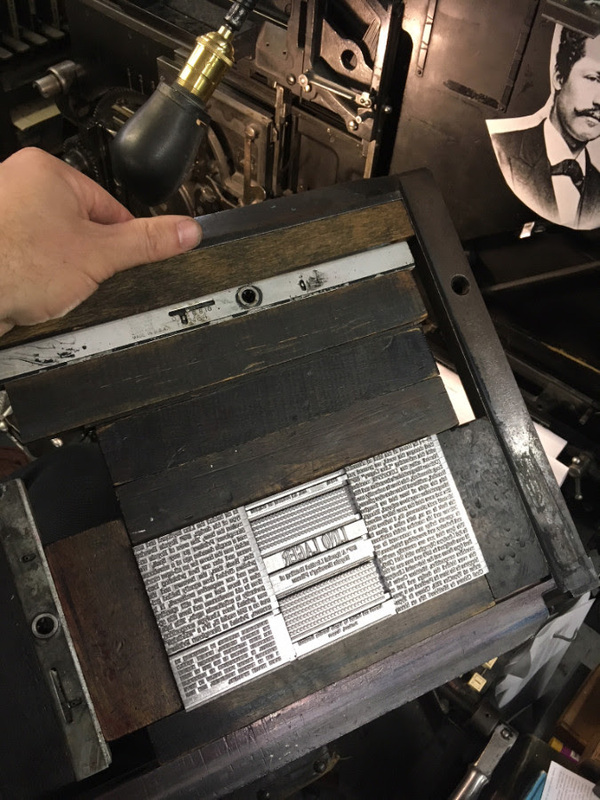 Stumptown Printers is hosting an open house on Friday night in honor of the Linotype machine, commercial print, and a job well done. Enjoy a taste of “Lino-Lager” — a limited bottling of Royale Brewing’s most popular brew. This special release will be adorned with labels composed in-house at Stumptown Printers on their 1946 Linotype Model 31. There will be a small supply of Lino-Lager bottles available for purchase. Come raise a glass to Ottmar Mergenthaler, his amazing machine, and hot metal type composition! 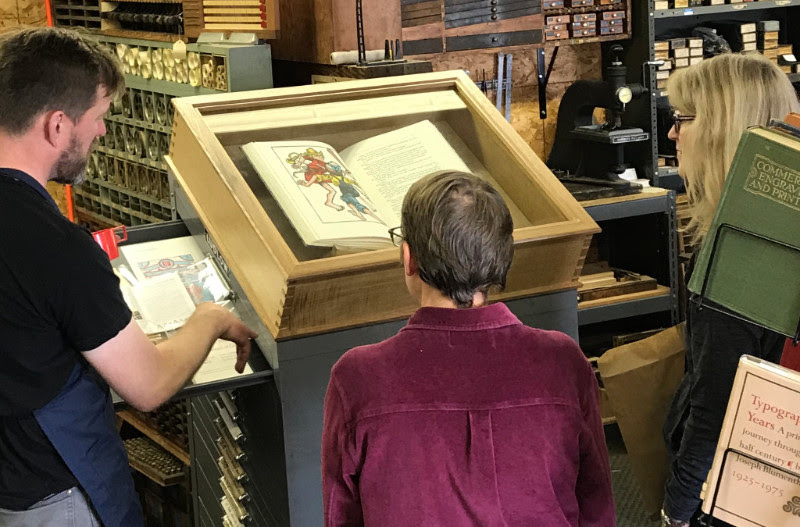 Printers, artists and other free spirits interested in letterpress printing are invited to join this discussion group. Meetings are hosted at the C.C. Stern Foundry on the second Saturday of each month from 10am to noon. All are welcome. This biennial gathering is being hosted by the venerable M&H Type and Arion Press for 2018. The conference gathers together folks working in metal typecasting for three days of presentations, field trips, and old fashioned type talk, including technical sessions. We’ll be sending a delegation from C.C. Stern Type Foundry, let us know if you will be joining us! You can find out about conference registration here. East Columbia Neighborhood Invites you to our Arboretum for a potluck picnic August 11, 2018 12 Noon - 3pm.